I came across this rather interesting news article on the website of Musa di Salò whilst researching information regarding this summers events in Lake Garda. The article informs us of a new initiative to assist tourists to discover Lake Garda by bus. Rather than rewrite it in my own words I have just provided a link to the Musa Di Salò article which you can find below. One highlight of the article is news of dedicated bus services to some of Lake Garda’s main attractions such as Musa di Salò, Vittoriale and Gardaland. Read the PDF below for routes and timetables. Garda Lake 2018 is an organisation that has been set up to come up with initiatives and proposals dedicated to the mobility of tourists around Lake Garda and specifically tourist to discover and experience Lake Garda by BUS. 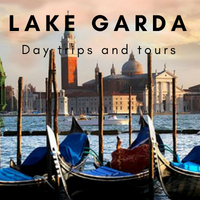 Experience the Garda by bus! It is the slogan coined to represent some important innovations concerning the bus transport services managed by SIA Autoservizi , the Brescia-based company of the ARRIVA – DB group, for this summer season. This important operational meeting took place this morning, June 18, 2018, at the Province of Brescia, a member of Garda Musei, always available to host and support the association’s activities and to strengthen constructively its institutional role for co-ordination and management skills. territorial. The meeting was attended by: the heads of the SIA-ARRIVA group and of the TPL Agency of Brescia, the President of the Province of Brescia, the representatives of the municipalities of Peschiera del Garda, Sirmione, Desenzano, Salò, Gardone Riviera and Toscolano Maderno and Giordano Bruno Guerri, President of the “Il Vittoriale degli Italiani” Foundation and Director General of the MuSa di Salò and of GardaMusei. Read the full report with details of new and improved routes and timetables in the Musa di Salo’s news item by following the link below.